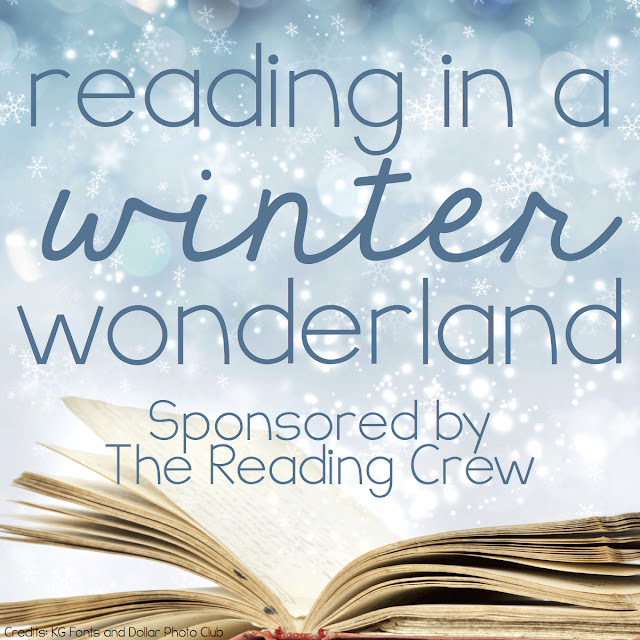 Welcome to the Reading in a Winter Wonderland blog hop brought to you by the Reading Crew! 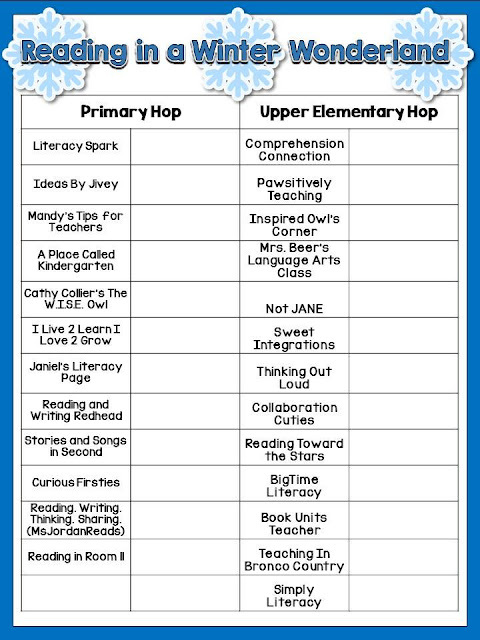 We have two hops for you this weekend, a K-2 hop (which starts here on my blog) and a 3 & up hop (which starts here at Comprehension Connection). You can find the maps for both hops at the bottom of this post. Each blogger is sharing with you a favorite, less common winter book with the hope that you find some new books to use this year. Every post will have a freebie to go along with the book and a mystery word in blue. Collect the mystery words and enter them in the Rafflecopters in order to win physical copies of EVERY BOOK IN THE HOP! 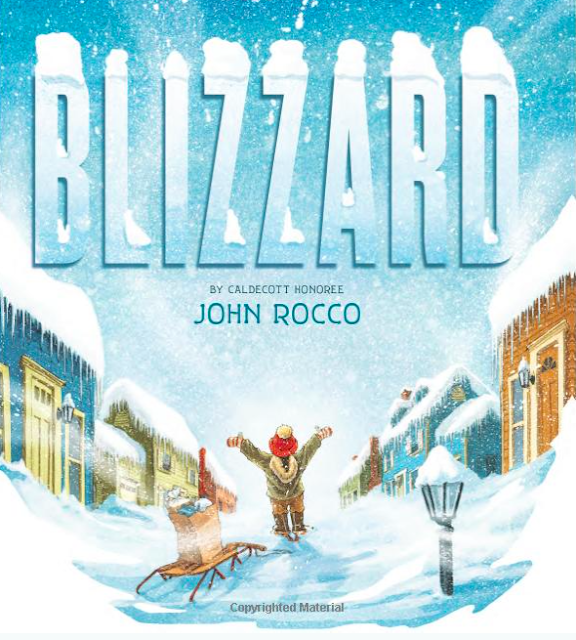 The book I chose is Blizzard by John Rocco, which just came out last year. The author also does the beautiful illustrations for the book He's actually the illustrator for Rick Riordan's Percy Jackson and the Olympians series. 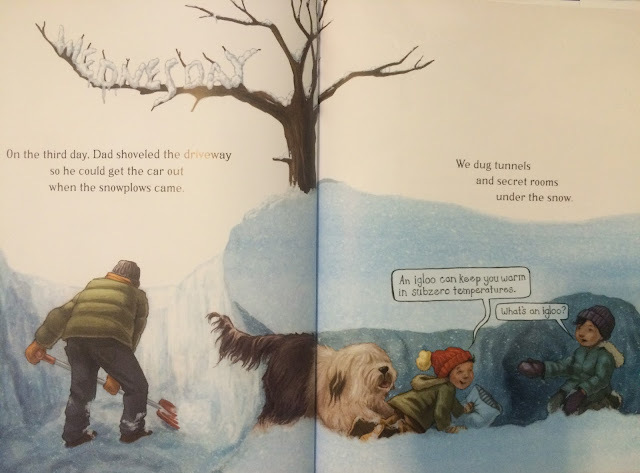 The book tells the story of a young boy during a blizzard in New England. 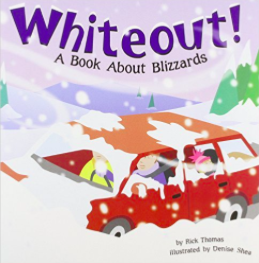 The author is actually recounting his own memories of the Blizzard of 1978. 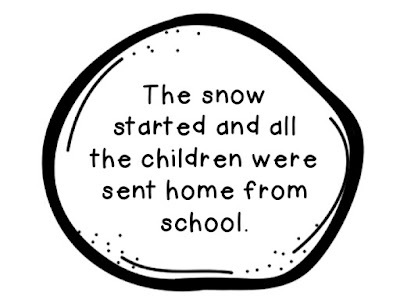 At first he is excited as he is sent home from school when the snow begins and the children are able to play outside. But as the snow continues for days and the snowplows never come, worry and survival instincts set in. Since he is light enough to walk on top of the snow, he ends up being the hero by making it to a store and getting supplies for his family and people he comes across on his way. Finally after a week, the snowplows arrive as the blizzard comes to an end. 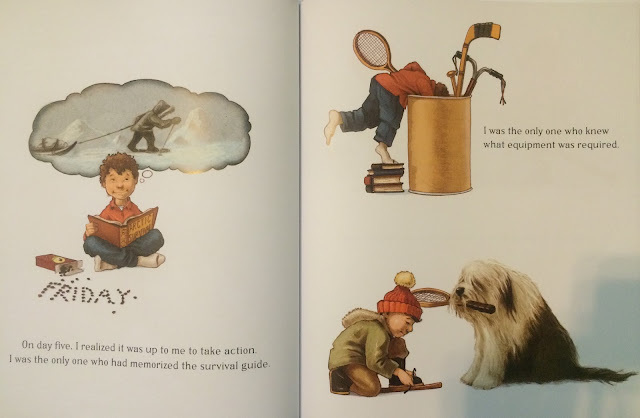 The book has a light and funny tone perfect for young kids, even though the subject matter can be serious. Watch the trailer below to hear a summary from the author and get a sneak peak at how gorgeous the pictures in the text are! 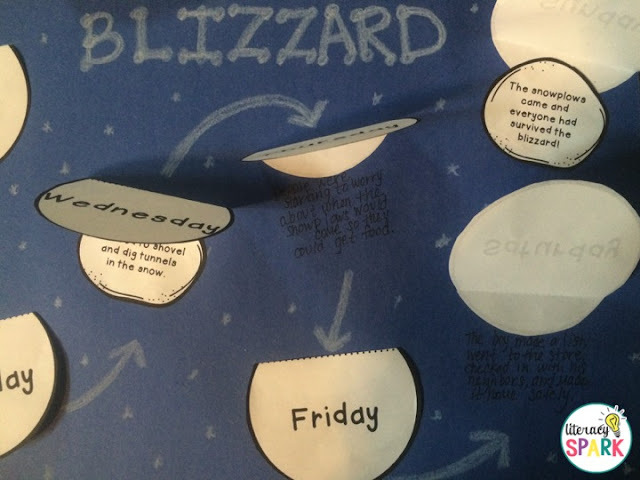 Before reading the text, have students share what they know about blizzards. 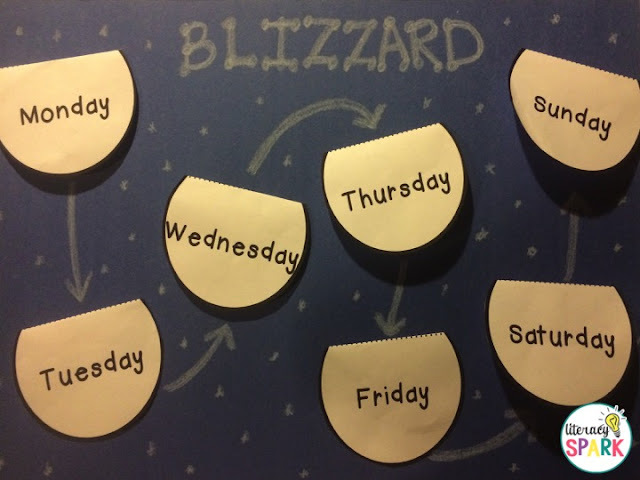 What happens during a blizzard? What would it be like to experience one? Have they ever? Would it be fun? Scary? Dangerous? How would they survive? What should they do to stay safe? 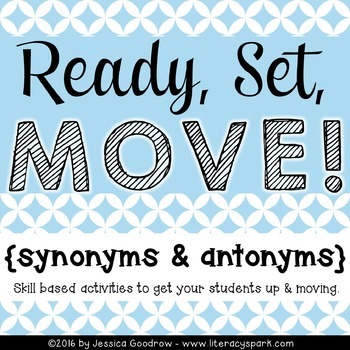 See below for some nonfiction resources to use either before or after reading this book. 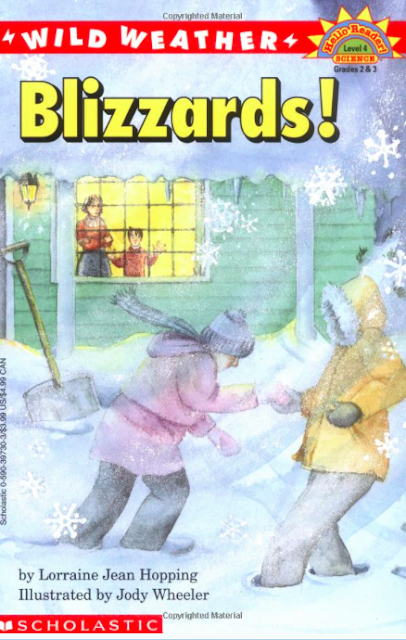 Chances are, most students have not actually experienced a real blizzard, depending on where you live. I know in Texas many kids have never even seen real snow! As you read the book, draw students' attention to the sequencing of the text. The author makes it very easy to follow the sequence of events by marking the days of the week in the illustrations, as shown above. See Wednesday hiding up there as the ice in the tree? The book also has some cute conversation bubbles, like the one above which happens to provide some information. Problem and solution is very apparent with the book too! The boy and his family were running out of food and supplies so he figured out a way to go out and get some since the snowplows still hadn't come by Friday. 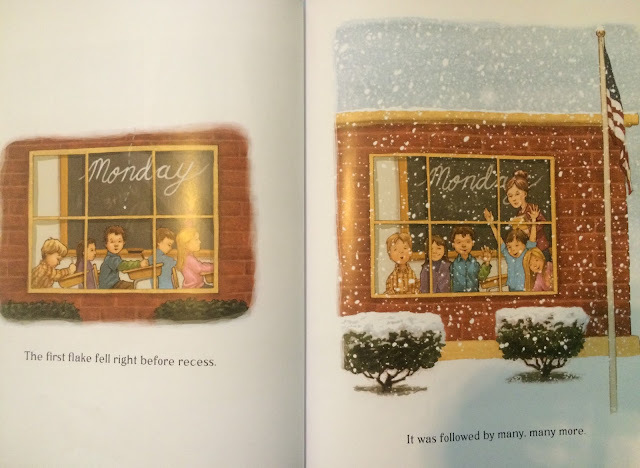 Since the text has a simple sequence and the events are so clearly labeled with the days of the week in the images, I thought it would be a great one to use for sequencing and retelling. Click on the image above (or any below) to download the freebie and keep reading below for details. 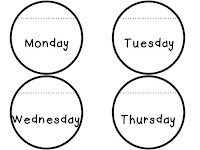 There are flip up circles labeled with the days of the week for students to glue on a large piece of paper. 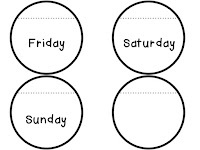 If you have younger students, sequencing the days of the week would be good practice! Then, underneath each day, have students write the major events that occurred. OR have them cut out the above snowballs with the events already listed and have them put them in sequence and glue them under the proper day. 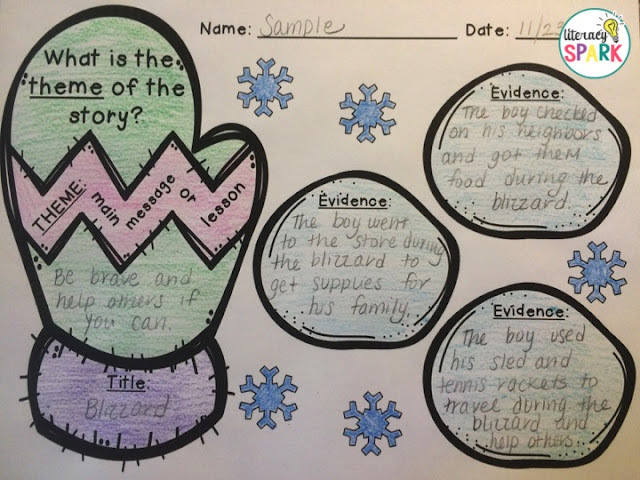 Students can then use their completed work to retell the story, whether they wrote the events themselves or sequenced those that were already typed for them! 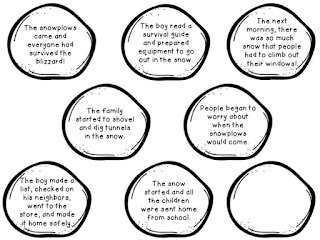 I also included a large version of the snowballs with the events on them. I thought these would be fun to use in a group retell. Crumple up the snowballs and throw them. 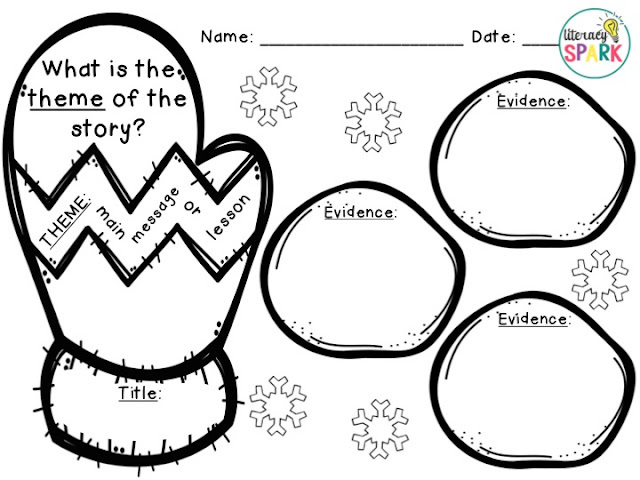 Have students uncrumple them and then sequence the events in small groups. There are seven events because that's how many days the storm lasted in the text. 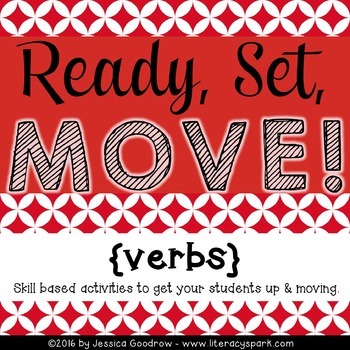 If you're like me, you basically use every book you can to teach theme because it is such a difficult skill to master! Fortunately, this book has a couple of pretty obvious messages...being brave and helping out others. So I made this quick sheet that can be used to practice identifying theme and providing evidence. Best part? You can use this for ANY winter text. You can also find this with the freebie above. This site has lots of old photos of the Blizzard of 1978. I know students would be fascinated to see them (they are in black & white and from a complete different time period!) and compare them to not only what they have experienced in their own lives, but to what they read about the author's experience in the book. 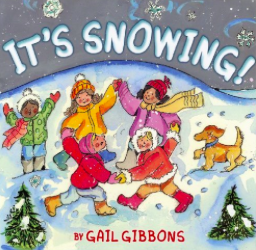 Below are a few other books about snowstorms/blizzards that could be used in combination with this text. Click on the images to locate the books on Amazon. 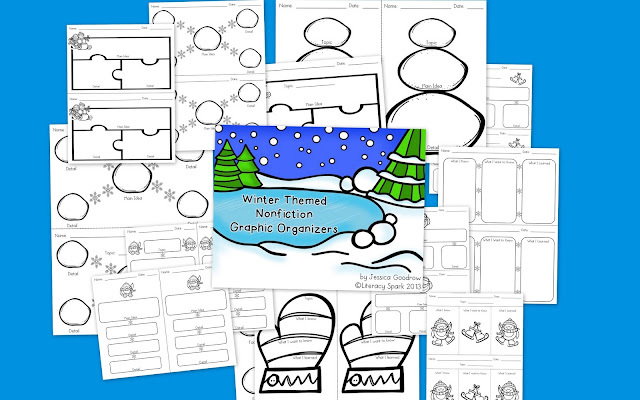 Last winter, I made some fun winter themed nonfiction graphic organizers. They cover the skills of topic, main idea, and details as well as a couple of KWL's. I changed them to free for this weekend so you are welcome to click the image above and download them! 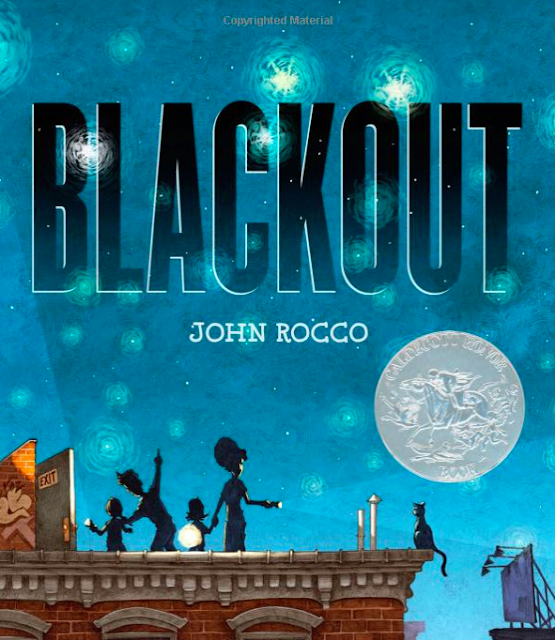 John Rocco is also the author of Blackout, which is another amazing text. As you can imagine from the title, the book tells the story of his childhood memory of a power outage. 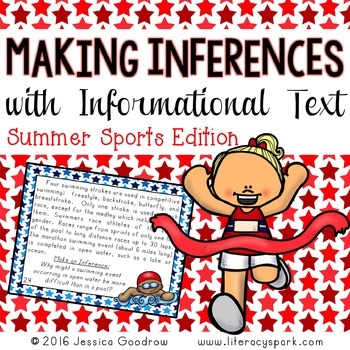 It is a great text to use for teaching inferences and I have a post about it on my blog here. The two texts could even be used together in order to compare and contrast the author's two experiences. In case you missed it (or forgot by now! 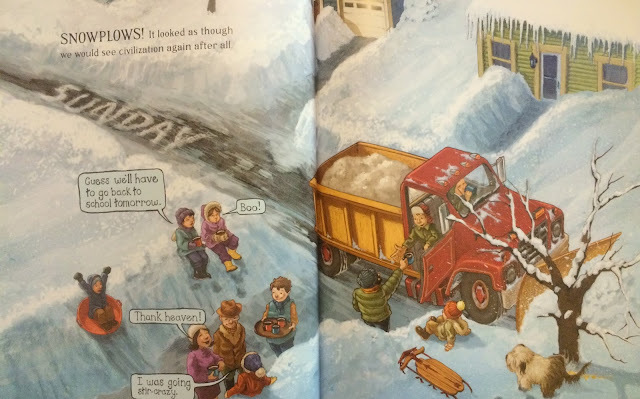 ), my mystery word is snowplows. You can download the recording sheet above if you'd like to use it to keep track of all the mystery words. Use them to enter the Rafflecopters below and WIN THE BOOKS shared in the hops! 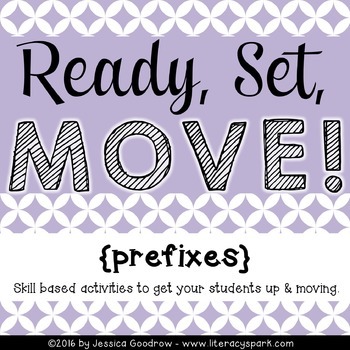 Make sure to check out the two link ups at the end of this post (K-2 and 3 & up) to find the rest of the other participating bloggers! What a thorough post, Jessica! 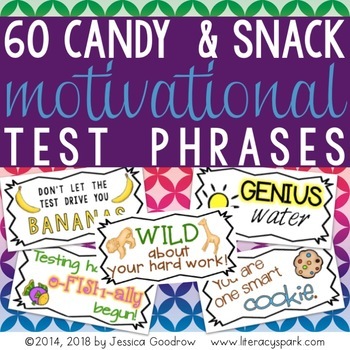 I love all of the ideas and goodness, you are so generous to share two freebies! John Rocco is a new author for me. I will certainly add these books to my shopping cart for Cyber Monday!! I just saw this book at a literature conference I attended and it is on my wish list! I LIVED through the Blizzard of '78--was a senior in high school! 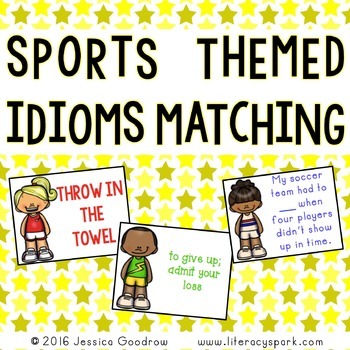 When I use your fabulous freebie with this mentor text, my second graders will once again say...."Whoa.....you are really OLD, Mrs. R.!" This book is new to me, so it is now on my Amazon wish list. 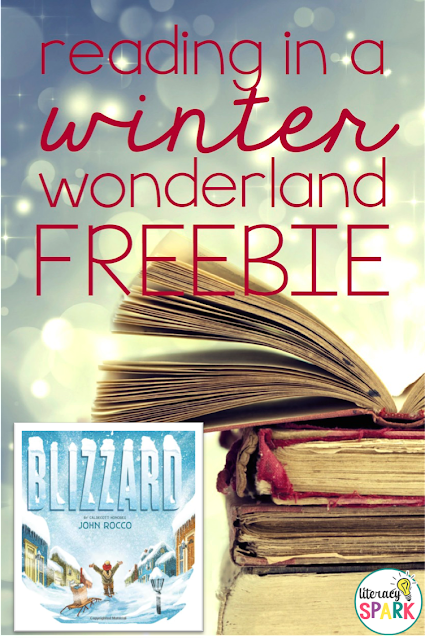 Can't wait to read it to my students this winter and use your freebie. Thanks! Oh my goodness! LOVE all the resources! I am not familiar with this book- I am adding it to my wishlist!!! This is just a wonderful post full of great stuff! Can't wait to get the book- I had never heard of it. Thanks so much for sharing! I have never heard of this book and can't wait to check it out. It looks like a really good one. WOW! What a great post! I love all the details! Love your post! This book is new to me but I just requested it from the library and can't wait to use it in my class. What a great post! I love the way this sequence activity is set up. Thank you so much. I look forward to checking this book out! I'm Jessica, a former 1st and 2nd grade teacher turned stay at home mom to the cutest little girl in the world. She loves all things books just like her mommy. I have a master's degree in curriculum and instruction and hope to be a reading specialist one day. 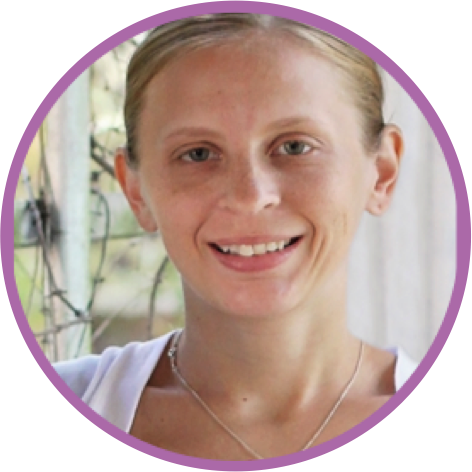 Simplifying Running Records - Gearing up for a Great Year! © 2015 Literacy Spark. Felicity Template designed by Georgia Lou Studios. Graphic design by Designs by Kassie. All rights reserved.